Since this post was published I spoke with Wyatt Cenac and in my estimation this issue is resolved. For more on that please read: Wyatt Cenac Offers a Positive Conversation and Delivers. 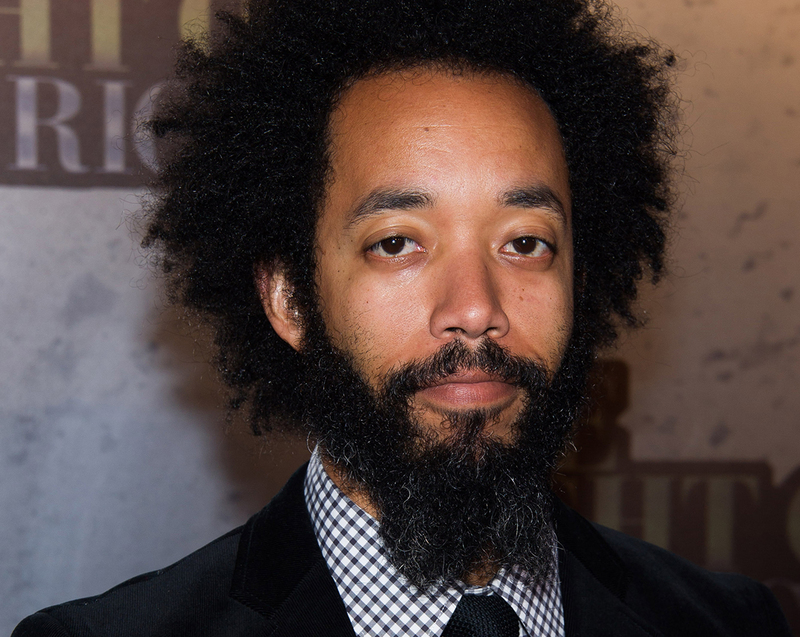 On the July 23rd podcast of Marc Maron’s WTF, Wyatt Cenac, formerly of The Daily Show, related a heated argument he had in 2011 with Jon Stewart. Cenac had objected to Stewart’s televised impersonation of then Presidential candidate Herman Cain that he found to be racially insensitive. In listening to his interview with Maron I was struck by a couple things: first, Cenac made a convincing argument that Stewart was being racially insensitive and second, his argument opposed how he addressed a similar failing on his part just last year. In 2014, Cenac appeared on This American Life. He described the effects he incurred after eating a pot brownie. He said he became so high and incapacitated he thought he had given himself Down syndrome. The marker for Cenac that he had Down syndrome was his voice was now thick-tongued and slow. He was taken to task for his insensitivity, most notably by David Perry, a journalist and parent of a child with Down syndrome, who had posted a CNN opinion piece, on August 7th, 2014, regarding the episode. Perry objected to Cenac’s painful mockery of the speech patterns of some people with Down syndrome including his own child’s. On HuffPost Live: Cenac omits the set-up to his joke on This American Life: “I…had no job…[I]was living off my credit cards…[I]was five months behind on my car note…[and] really didn’t have anything to live for.” His reasoning is: why not eat a pot brownie. It is interesting to note Cenac has never addressed that his story is predicated on his self-described loser status resulting in him feeling he “didn’t have anything to live for”. To acknowledge that context he may betray his own reductive thoughts about individuals who have Down syndrome. Is it really a leap to consider Cenac might believe that people with Down syndrome are losers who also may not have anything to live for? Otherwise why in his altered state is he suddenly talking in a “funny voice” and believing he just developed Down syndrome? Something informed that hallucination. Those thoughts did not randomly collide, they came from somewhere in Cenac. In other words did a pot brownie free his mind? It also squares with what most people think of individuals with Down syndrome. It is such a compelling belief that there are existential consequences reflected in the fact most fetuses detected with Down syndrome result in abortion. I have similar concerns for my eight year-old son who has Down syndrome. The audience of This American Life entertained by Cenac’s “humorous” antidote is comprised of business owners, co-workers, educators, heath professionals, neighbors and family members who may have been assured that the person they know with Down syndrome is just as diminished as Cenac believed himself to be when he thought he had given himself Down syndrome. On Maron’s WTF it is clear Cenac is still haunted by his encounter with Stewart from four years ago and that he does not have the closure he needs about something that deeply offended him. As a parent of child who has Down syndrome I, too, one year later feel the same about Wyatt Cenac’s choice to tell a story that would have been better left unspoken. This entry was posted in activism, By Notatypicalmom, Down syndrome and tagged Alyona Minkovski, David Perry, Huffington Post Live, Jon Stewart, Jon Stewart Daily Show, Marc Maron, Marc Maron WTF podcast, This American Life, Wyatt Cenac by Kari Wagner-Peck. Bookmark the permalink. Well written Kari. I appreciated reading both sides of this. Reminds me of the notion that we are all ‘situated’ in our interpretations of things (nod to Sandra Harding) we experience in life. Exactly! And I know I have done the same thing but fortunately it wasn’t to an audience. SO, Marcus really loves SNL and, as you may expect, we watch a lot of stand up comedy in our house. Recently he’s started to explain to me that when someone is “impersonating” something he says “making fun of” – I’ve tried to explain the difference. But it also is making me contemplate – is there a difference? This is well done, Kari. Thank you for sharing it. I’m with Marcus:) If the person they are impersonating is misusing power or hurting others in some way it doesn’t bother me. I say you get what you give. But the person being impersonated is the underdog, the oppressed — what exactly is being accomplished? Interesting that Cenac has a filter which allows him to see the offensiveness of racist stereotypes in humor but not the offensiveness of other stereotypes which do not pertain to him. Truthfully, I believe we are all psychologically hard wired with such filters as survival mechanisms. Hopefully, we’ll learn to see all people as humans with value, and the only ones we’ll make fun of are the crazy cat ladies, like our friend Kelly.